 Set within 400 metres of Inter Media Station IMS Building in Fukuoka, Nishitetsu Grand Hotel offers a bar and a restaurant. The property is located 400 metres from Rainbow Plaza Fukuoka, 400 metres from Kego Shrine and 800 metres from Nagahama Ramen Street Fukuoka. Maizuru Park is 1.3 km from the hotel. Guest rooms in the hotel are fitted with a kettle. With a private bathroom, rooms at Nishitetsu Grand Hotel also boast free WiFi. At the accommodation, rooms have air conditioning and a flat-screen TV. With staff speaking English and Japanese, guidance is available at the reception. Fukuoka Castle is 1.3 km from Nishitetsu Grand Hotel, while Fukuoka Art Museum is 1.6 km from the property. The nearest airport is Fukuoka Airport, 5 km from the hotel.